Bharatanatyam being the oldest and purest from of Indian classical dance in a combination of music expression and rhythm. The two faces of Indian dance the Tandava (vigorous) and the Lasysa (gentle) blend beautifully in Bharatanatyam. It encompasses all the elements of dance drama and spiritually elevates the audience. 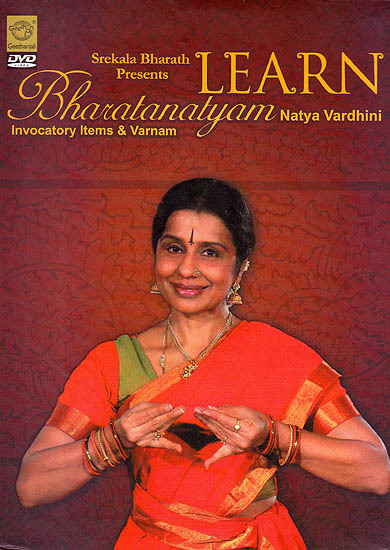 Bharatanatyam is poetry in motion and all the cognate elements of Bhava Raga and Tala reveal themselves as all in one. A disciple of renowned Guru K.J. Sarasa Bharath is a passionate dancer an ingenious choreographer and an inspirational teacher of international repute Srekala started dancing at the tender age of seven with her inimitable style nimble footwork and exquisite abhinaya. She has created thematic presentations ranging from traditional classics to modern day concepts winning critical acclaim including the Kalaimamani. Tamilnadu state award and the Bharata Rathnam from the Government of Sri Lanka, Srekala Bharath is deeply committed to the exceptional development of her students enabling them to evolve as artistes as they share in her creative journey at Thejas an institution she founded that defines talent and continues to empower artistic expression in Chennai India for over a decade.